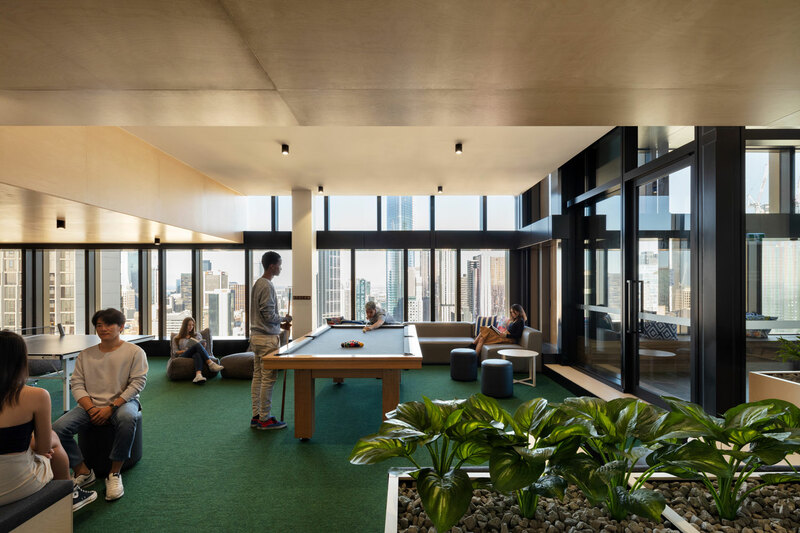 As a new generation of student accommodation evolves, providers must take a more sophisticated approach to communal spaces as the key to supporting pastoral care. Providing an experience which echoes the warmth and connection of a family home is the challenge. 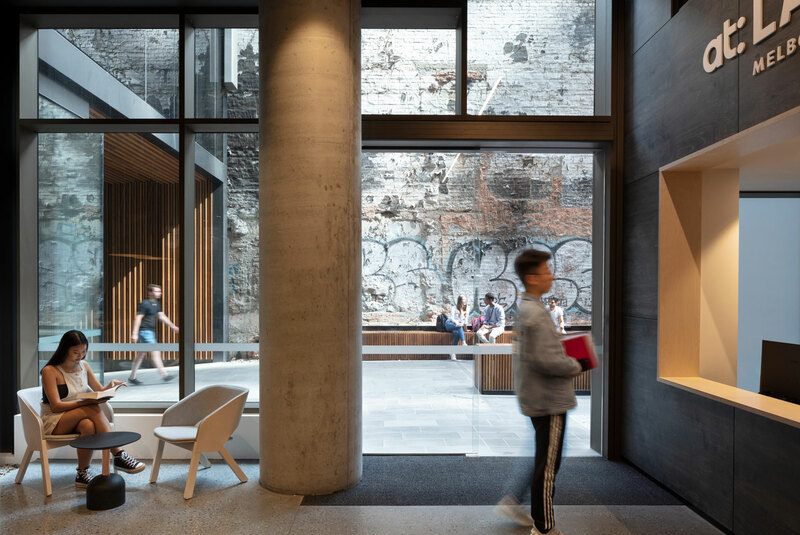 Hayball is closely observing the City of Melbourne’s Student Housing Design Policy to support students’ sense of belonging and social interaction. 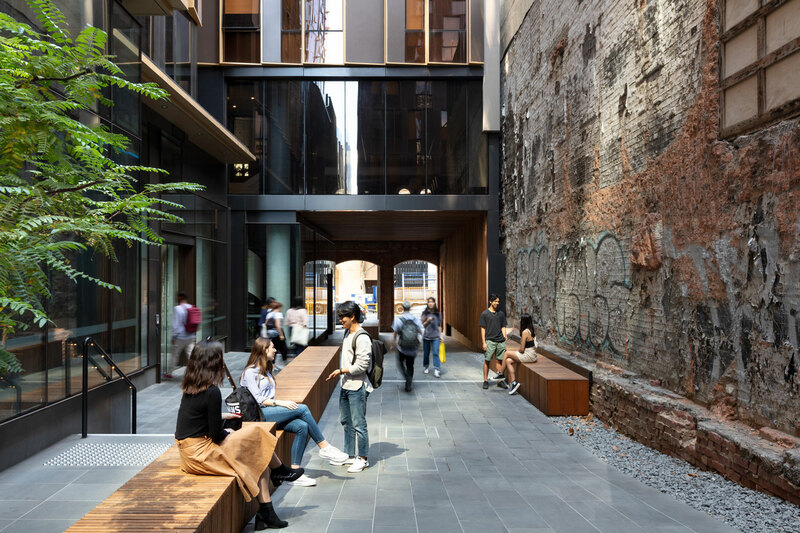 With highly engaging social spaces interspersed throughout the building’s 43 levels, these will be greatly intensified at ground level to integrate with a new laneway and the cityscape. 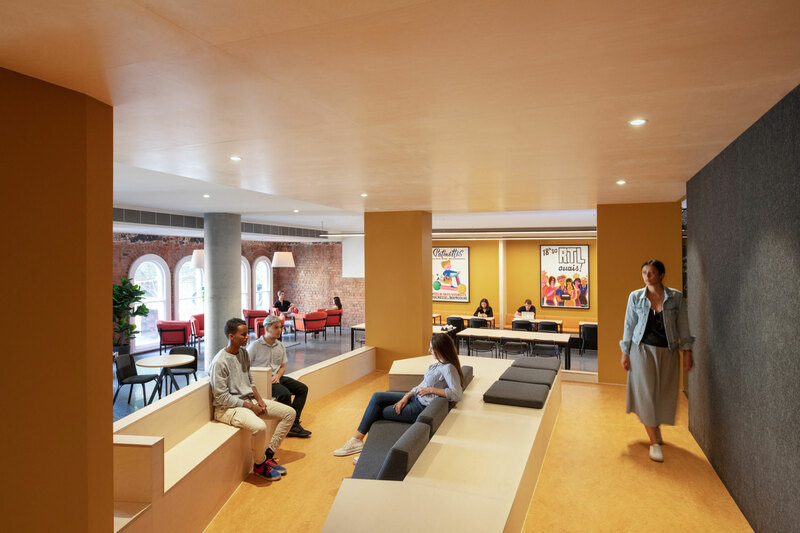 Communal facilities include terraces, lounges, dining rooms, kitchens, sports and recreation, a cinema, videogame spaces and collaborative learning spaces for studying and hot-desking. 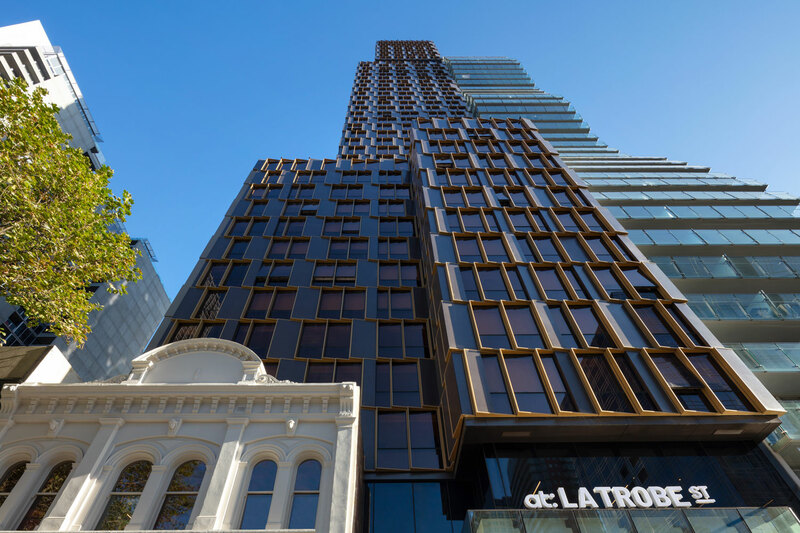 The project is a pioneering one: at nearly 150m high it will be one of the world’s tallest prefabricated student accommodation buildings. 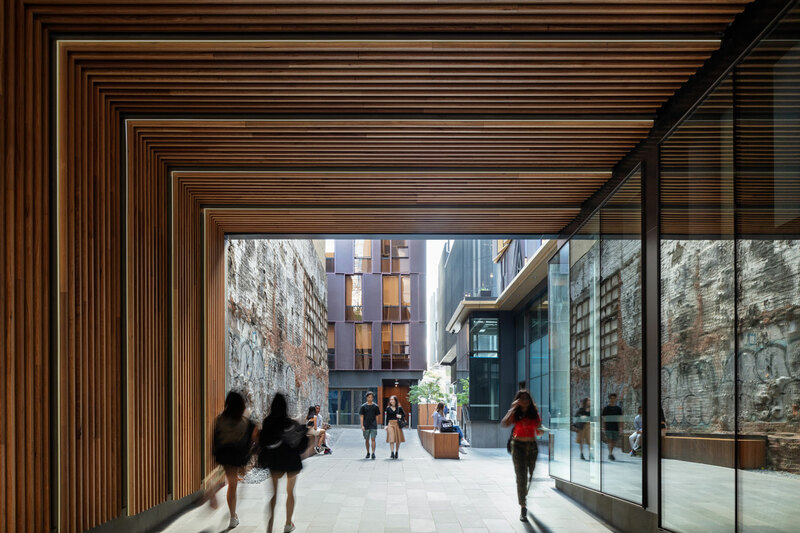 Fully designed for manufacture and assembly offsite, the construction technology will dramatically reduce both construction time and on site impact during installation.